I recently read a favourable review for Blackwater, Alison William’s second book and prequel to The Black Hours. The review was a glowing testament to the authors writing and research. I probably should have started with that novel, but I have an OCD obsession with watching and reading in the order things are published (I can only re-watch Star Wars by starting with episode four!). So I downloaded The Black Hours and began reading. Set in 1647, this novel describes the threats faced by women who are labelled by society – and by that I mean their neighbours and friends – to be witches. I’ve always been fascinated by the witch trials both here and in the US, so how I’d missed this book upon publication, I didn’t know. The author has a tremendous ability to take you back in time so you can feel, smell and touch history. Her research is impressive, with every tiny detail driving the story forward. There are notes at the back explaining how Alison Williams visited all the towns and villages mentioned in her book, including her time spent in Colchester cells – that’s dedication. The characters were easy to visualise, and I found myself fuming at various sections of the book when notorious Witchfinder General, Matthew Hopkins, got away with another heinous act. I felt compassion towards Alice and Maggie, and even for strange little Jennet. Matthew and Tom, however, were characters I loved to loathe. I thoroughly enjoyed The Black Hours and would highly recommend this novel if you enjoy historical tales with a difference. This book gives you an insight into life for the men and women of small towns in the 1600s. I’ve already downloaded the prequel, Blackwater. 1647 and England is in the grip of civil war. In the ensuing chaos, fear and suspicion are rife and anyone on the fringes of society can find themselves under suspicion. Matthew Hopkins, self -styled Witchfinder General, scours the countryside, seeking out those he believes to be in league with the Devil. In the small village of Coggeshall, 17–year-old Alice Pendle finds herself at the centre of gossip and speculation. Will she survive when the Witchfinder himself is summoned? 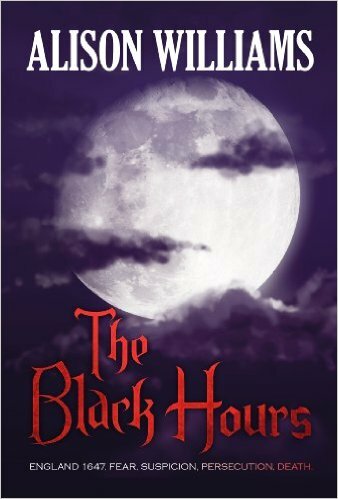 A tale of persecution, superstition, religious fundamentalism, hate and love, ‘The Black Hours’ mixes fact with fiction in a gripping fast-paced drama that follows the story of Alice as she is thrown into a world of fear and confusion, and of Matthew, a man driven by his beliefs to commit dreadful acts in the name of religion. Please note that ‘Blackwater’, the prequel to ‘The Black Hours’ is also available – however, both can be read as stand-alones. Both books are brilliantly researched and written, if a little dark to read at times. I too found myself hating the witchfinder and his terrible crimes against women. Compelling reading in which ever order you read them. This sounds like one to add to my TBR pile! Great review! Thank you, Janice. It’s a fascinating read. Alison’s research is amazing. Great review, I read this a while ago and can still remember the characters. Thanks, Rosie. I can understand how the characters stay with you. Such a good book. 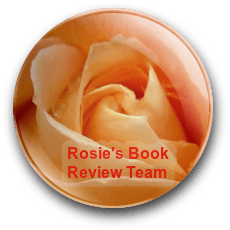 Fab book – not for the fainthearted, though! Absolutely thrilled with this review of The Black Hours – thank you Shelley!